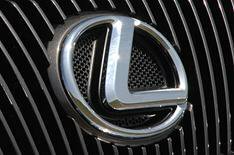 Lexus GS to get more affordable hybrid | What Car? The Lexus GS executive car range will expand to include a new, more affordable petrol-electric hybrid, the manufacturer has revealed. Lexus hasn't released many details, but it says the new model will use a smaller-capacity engine than the 3.5-litre V6 in the GS450h a four-cylinder unit seems most likely. Due in the second half of 2013, the new hybrid will be an addition to the range, rather than a replacement for the GS450h. The smaller-capacity engine will make the GS more competitive against rivals, and is expected to account for the vast majority of sales. Sub-100g/km CO2 emissions and improved economy will allow it to compete squarely with the likes of the BMW 520d Efficient Dynamics. Lexus has also revealed that the new hybrid powertrain will be used in the next IS compact executive saloon. Like the GS, the forthcoming IS will not be available with any diesel engines.